The Journal of Green Building is an electronic resource for all those in disciplines related to the built environment (e.g. architecture, engineering, construction, construction management, building science, facilities management, landscape architecture, interior design). The journal contains both a research and an industry section, in order to publish scholarly research and practical applications together. In the research section, peer-reviewed articles present current research findings about high performance building design and construction, while the industry section covers applications, techniques, and processes, featuring case studies and articles written by practicing building professionals. *For off-campus access, go through the link in the Catalog and use your global ID to log in. The Journal of Planning History, a peer-reviewed academic journal, is published quarterly on behalf of the Society for American City and Regional Planning History (SACRPH). It was established in 2002 to succeed SACRPH's semiannual publication Planning History Studies. The journal focuses on planning history in the Americas, but encompasses transnational planning experiences. It also covers a range of topics within the field of planning history, including planning history pedagogy, planning history in planning practice, the intellectual roots of planning processes, and planning history historiography. The Journal of Planning History is available online from February 2002-present. Look up JPH in the library Catalog here. The LADC recently acquired campus-wide access to BuildingGreen Suite, an online resource for building industry professionals and students that provides information on sustainable design and construction. 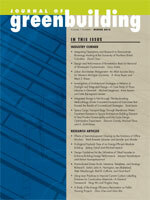 This database includes GreenSpec, an online product guide with 2,200+ environmentally preferable product listings, and 360+ project case studies provided by the High Performance Buildings Database, as well as articles & videos for continued education, blogs, discussions, the e-version of Environmental Building News, and more. BuildingGreen Suite also offers the option of browsing/searching information by CSI division or LEED credit. Access: BuildingGreen Suite, or go to our Databases by Title page and click on BuildingGreen Suite. Auburn University Libraries recently subscribed to Material ConneXion's online Materials Database, which can be used to access information on over 6,500 materials for design, building, and manufacturing. Material ConneXion focuses on collecting the most advanced, innovative, and sustainable materials from around the world. Materials in the database are categorized by their composition (polymer, natural, metal, glass, etc.). They can be searched by keyword, manufacturer, or country. With Advanced Search, you can narrow your search by selecting physical properties (such as translucent, flexible, or good impact resistance), usage (fire resistant, outdoor use, acoustics, etc. ), sustainability (non-toxic, recycled, etc. ), or processing (weldable, printable, etc.). Here's the link: AU Libraries' portal to Material ConneXion. You can also get into the Material ConneXion database through the LADC's home page, lib.auburn.edu/ladc. Under "Search for E-Resources," click on "databases", and you'll find the link to Material ConneXion under M.
The Auburn University Libraries have obtained a new e-resource, Oxford Art Online. For access, go to http://www.lib.auburn.edu/OXFORDART. The Oxford Art Online home page for subscribers automatically comes up. From the home page, you are able to browse content, quick search the database, click on advanced search, search by source or search for images only. The exhibit of selected watercolors has been replaced by a fresh selection, now depicting 19th century southern homes. 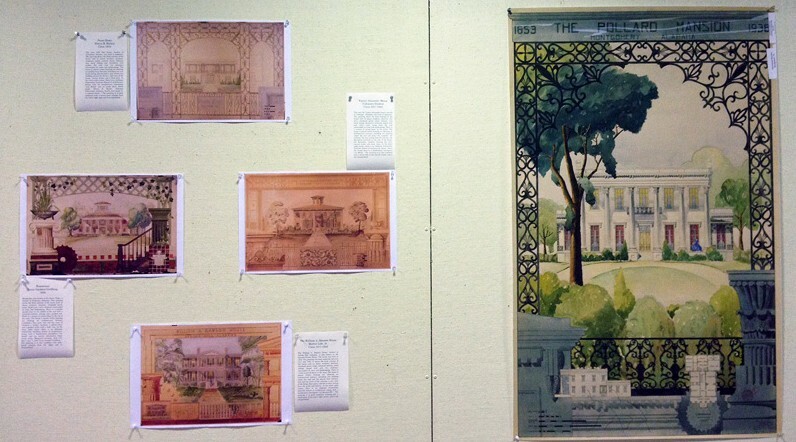 Houses shown in the paintings include the Bragg mansion of Mobile, the Pease Home of Columbus, the Burris house, the Varner-Alexander house of Tuskegee, the William A. Dawson house of Spring Hill, the Stone-Young plantation of Montgomery, and the Holliday-Cary house of Auburn.